Of all the top actresses, it's Deepika Padukone who is set to have the busiest year. She may have as many as five releases, which is why it comes as no surprise that her schedules for two of her most anticipated films Chennai Express and Ram Leela are clashing. “Now that Chennai Express is scheduled to be out on Eid, it has to be completed within a certain time frame,” says a trade source to the Hindustan Times. 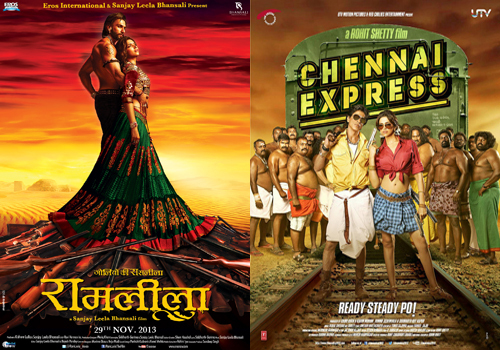 Apparently, Padukone has committed the same set of dates to Bhansali for Ram Leela. “The main problem is that Deepika’s dates have been combined with Ranveer Singh’s so, it’s going to be difficult for her to pull out days from Ram Leela,” adds the source.